With the arrival of Karaoke in the 90's Barry felt it important to diversify into the growing pastime that was sweeping the country. By visiting various Karaoke bars Barry has been able to observe the good and the bad (and the ugly) in the different karaoke operator's styles. Many people have seen Karaoke as an easy way to make money. Without knowledge or presentation skills, individuals have purchased all the karaoke gear and become 'instant' Karaoke DJs, so beware of falling into the trap of thinking one Karaoke operator is as good as any other, that is simply not the case. Does their equipment look and sound good ? How do they present themselves ? Do they present the show well ? Do they have they a good choice of tracks ? Are they reliable and will they turn up at your gig ? What guarantee do they offer that they will be there on time, if at all ? 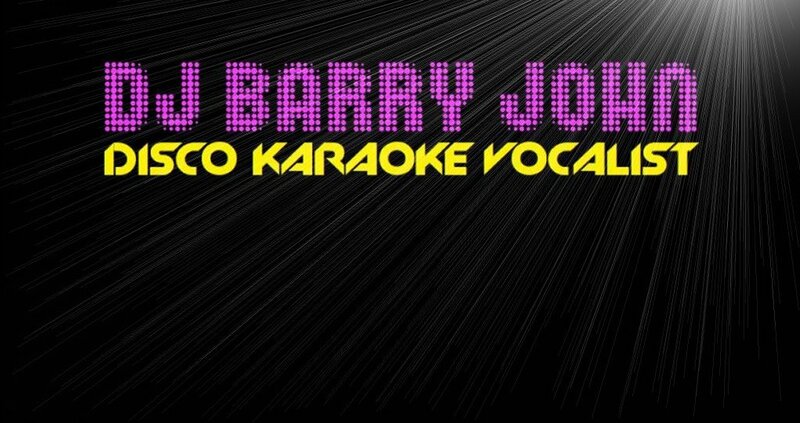 With a karaoke-enhanced disco outfit and his years of presentation experience, Barry is able to offer a karaoke service that encompasses all of the attributes for a successful evening - a unique combination of entertainment services. Apart from the usual selection of karaoke titles available, having a background in amateur operatics and dramatics has encouraged Barry to specialise in backing tracks specific to Broadway shows, consequently Barry is often booked by am-dram societies. The karaoke ramblings on this site have been written by Barry and are based on his years of experience in entertainment. You may not agree with all the points made and comments are welcome.